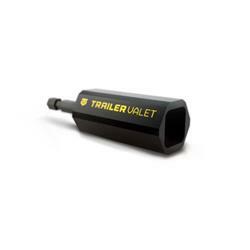 The Drill Attachment is the latest product in our effort to make the Trailer Valet the best jack on the planet. Simply attach your it to your 18V drill, and you can now move your trailer with just a push of a button. No more cranking until your arm gives out, power it up with the drill attachment.